The Júcar River Basin case study is located in eastern Spain. The Júcar River flows 497 Km between the Montes Universales range and the Mediterranean Sea. Its main features are its Mediterranean character (flood events during autumn combined with low flows during summer), the existence of recurrent and severe drought periods and the development of different management strategies (e.g. conjunctive use, drought management plan) to cope with water scarcity periods. The Júcar River Basin Authority (CHJ) manages the water resources, allocating it among urban (Valencia, Albacete and Sagunto cities), agricultural (USUJ, Jucar-Turia Canal and JCRMO users association) and industrial (Iberdrola power company) users. Other stakeholders include NGOs and authorities (national, regional and local). This case study is important for IMPREX due to the high degree of cooperation between the existing authorities for drought management, which is an example of how stakeholder involvement can make a difference in water resources management. IMPREX will evaluate how improved forecasting of hydrological extremes is able to increase the efficiency of the water system operation against drought events, considering hydropower and agriculture. In addition, participatory modelling approaches will be employed to integrate improved forecasting systems into decision-making processes. The lessons learnt from this case study in terms of stakeholder involvement, cooperation, and integration of forecasting of extreme events in decision-making can be exported to other European river basins in order to solve future challenges. The primary goal of this case study is to define a way to improve the inflow forecasting mechanisms currently used and apply them in real-life operation. Those mechanisms will be defined, improved and evaluated testing their impact in the hydropower production (Work Package 8: Hydropower) and the drought management (Work Package 11: Agriculture and droughts) of the water system. Their implementation in real-life operation will be explored using participatory approaches, stakeholder involvement, co-development and system dynamics modelling. 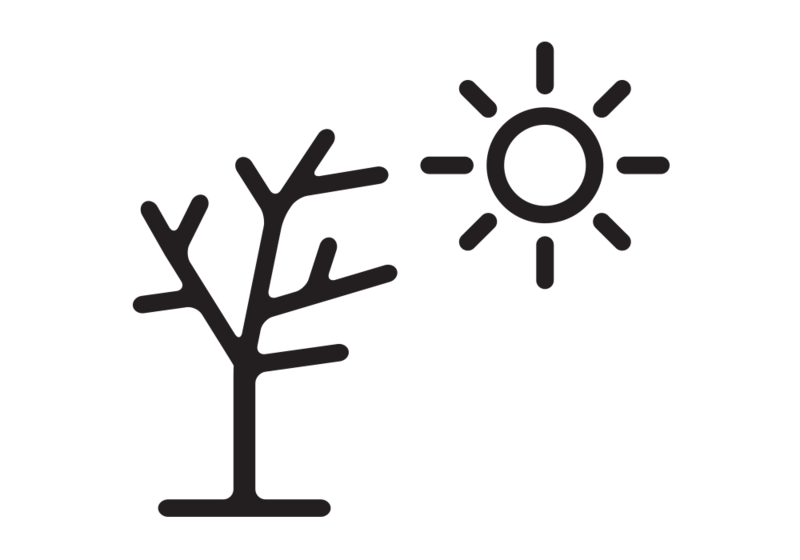 Hydrological models: to obtain basin discharges based on meteorological variables obtained by the IMPREX WP3 (Improved meteorologial predictability and climate scenarios). Autoregressive models: to estimate future inflows based on current and/or past discharge values obtained using historical records, outputs from our own hydrological models or the outputs of the IMPREX WP4 (Improved predictability of hydrological extremes). They will be used to define different inflow scenarios at short-, medium- and long-term. They will be created using MASHWIN module from AQUATOOL DSS. Júcar River system simulation models: they will determine how water should be allocated, based on the inflow values previously defined using our own hydrological models or the outputs from the IMPREX Work Package 4, in response to pre-defined operating rules. Those models will be built using SIMGES modules from AQUATOOL DSS. Júcar River system optimisation models: they will prescribe how water should be allocated considering an optimisation criterion (e.g. demand deficit minimisation, economic benefits maximisation, etc. ), based on the inflow data determined by our own hydrological models or the outputs of the IMPREX Work Package 4. Stochastic optimisation models will be employed. The stochastic optimisation will be based on stochastic programming (SDP), stochastic dual dynamic programming (SDDP) and sampling stochastic programming (SSDP). 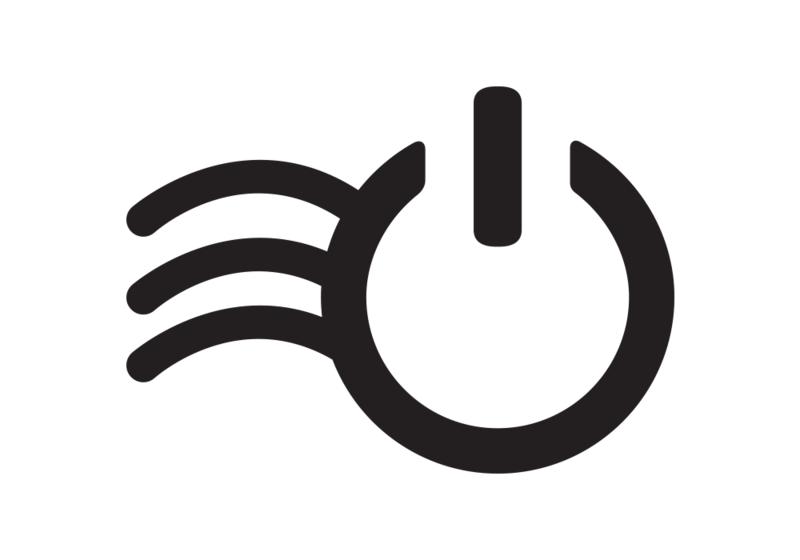 Stochastic optimisation models will be created using the GAMS programming language. Júcar River system dynamics models: they will determine how the different components of the system interact between them. They will be created using the Vensim tool. 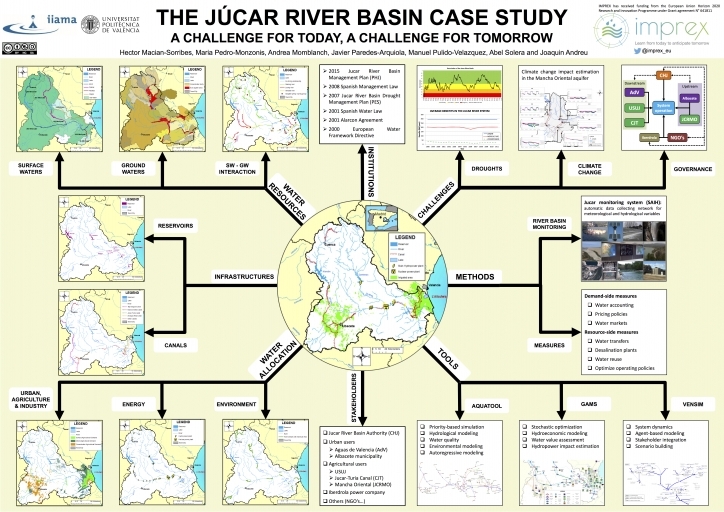 The Júcar river basin case study: a challenge for today, a challenge for tomorrow. Poster presented by the Universitat Politècnica de València (UPV) team at the stand of the IMPREX project in the Adaptation Futures 2016 Conference in Rotterdam (The Netherlands).